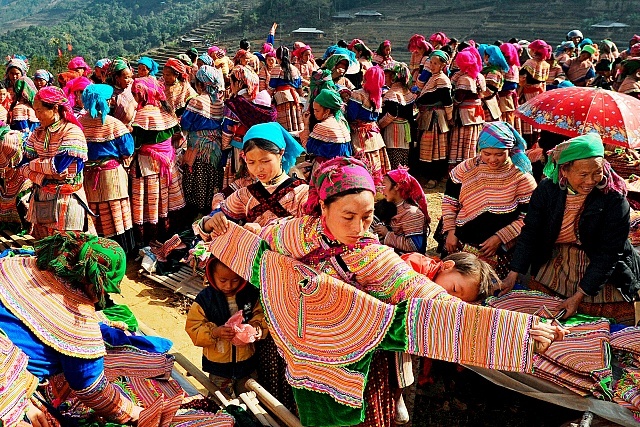 Asia Charm Tours's Sapa tours will be the best choice for you to experience Sapa realistically. Sapa, where the majority of the town's population is ethnic minorities who live in villages at the tribe hills in Northern Vietnam, owns a pure natural beauty as well the unique traditional culture. Therefore, there is not denial that every year Sapa is always one of the best destination in Southeast Asia attracting many tourists coming from all over the world. As you can see, Sapa owns many beautiful sights that will captivate you immediately. 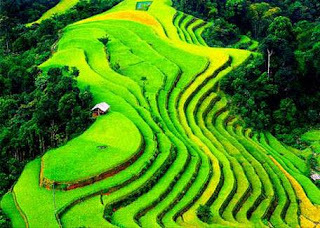 The terraced rice fields in Sapa were ranked as the world's most beautiful terraces. Moreover, the Fansipan Mount is the highest mountain peak in Vietnam and Indochina. It is considered as" The roof of Indochina" from Sapa town you can see it easily. Joining in a Sapa tour with us, you will have balanced time between admiring the nature and finding about the local culture. Sapa trekking tours to Lao Chai, Ta Phin, Ta Van, Cat Cat, Ban Ho village are the most beautiful and trekking trails which will definitely attract you with wonderful landscapes. Homestay with ethnic people in these tribal villages also is a must-try experience in Sapa which will help you understand more about their daily life. Engaging in any Sapa tour, you all have time to admire the beauty of terrace rice fields and the majestic of Fansipan Mountain. Sapa also the only place where you can see snow in winter in Vietnam. Now let's spend your time and budget to involve in famous attractions in Sapa with Asia Charm Tours. You should consider to choose the most convenient way for you and we always ready to provide the most perfect itinerary for you and bring you to the charming Sapa.